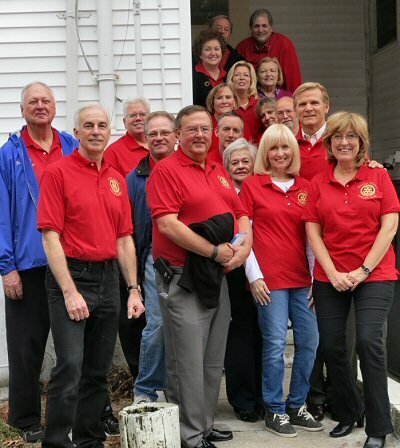 On Tuesday, November 25, 2014, members of the Rocky Point Rotary Club met in full red shirt regalia to serve a delicious Thanksgiving lunch to the residents of the Ridge Rest Home. 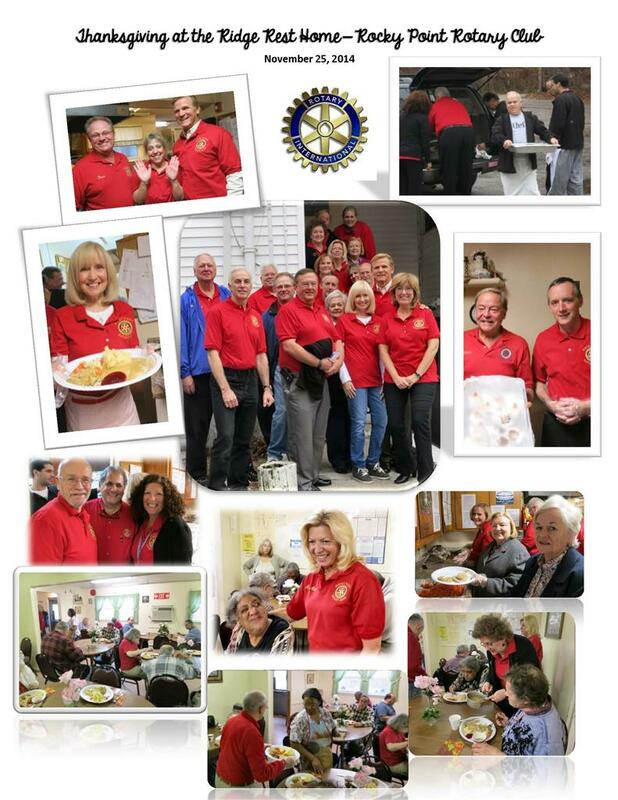 Anne Marie Roberts arranged this service project and by all accounts (empty plates and all), it was very well received and a huge success. Spiro and Sea Basin provided the delicious turkey and all the trimmings. Thanks to Anne Marie & Sea Basin for putting the dinner together!